An interactive devotional guide to help readers discover THE POWER OF I AM: Transform your destiny by changing what you say about yourself. The direction you'll follow in life begins with these two simple words: I AM. 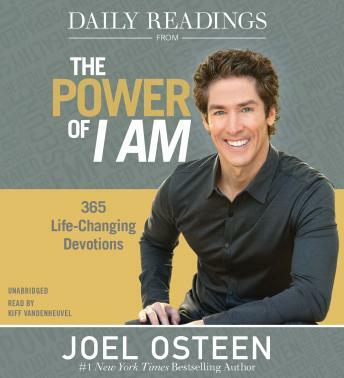 This portable devotional will help you transform your self-image and help you invite the right things into your life with daily readings and insights from THE POWER OF I AM. If you have a powerful I AM, you will carry yourself with a quiet confidence. It's time to stop criticizing yourself, and instead discover your inner strengths, your natural talents, and unique abilities that will make you prosper with self-assurance and success, every single day.